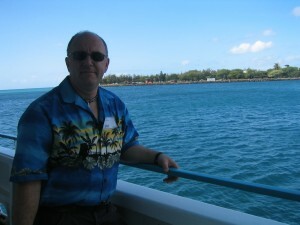 Tony Gyenis has over 35 years experience in starting and running mainly small businesses. Managing large businesses needs a different approach. The main reason he sold his last business (Top Brass Movers & Storage Ltd.) was because it was too successful and got too big to handle for him and his staff of 15. While in the moving business he started a charity called, “The Move of Hope” which transported food, clothing and toys to remote communities in need. Tony has used his positive mental techniques to grow his business to the point of deciding whether to keep it growing or to sell it and get someone else to take it to the next step. He says the most helpful strategy that he used over the years that made the real difference was Feng Shui. This ancient Chinese art made it so much easier and definitely gave him an advantage over his competition. He is also a Feng Shui Consultant, and obtained his formal training with Nancy SantoPietro, a well-known internationally renowned Feng Shui expert in New York. Tony wanted the best and chose Nancy to get the cutting-edge knowledge needed that would apply with today’s issues. Nancy also served directly with Grandmaster Lin Yun who has given the Black Hat Tantric Sect of Feng Shui the new attitude it needed for this century. Not only did it speed up his success, it also maintained his health so he was able to keep up with the physical and mental demands that only a small business operator can understand. He knows how hard business owners need to work before making that all important decision – to sell or grow bigger. Feng Shui gives your lifestyle the added fuel to succeed with less mistakes. All the success that Tony has experienced in his marriage, business, health, children, and his career, are not by accident. To implement Feng Shui is understanding how the energy in your own environment can assist in what you desire. Now he is sharing his knowledge and secrets with his own clients to help reach their potential. He has a new book out called, “Prosperity; The Secrets of Feng Shui”, which explains what Feng Shui is for those that need more evidence of why this art has stood the test of time. It is a hard cover, unique mini- sized and well written book that is perfect for casual reading. His latest passion has been working with the special healing frequencies of Tuning Forks, which are used to help release emotional issues from your tissues by creating sounds close to the body. He is fast-building a reputation of helping people to find their life path and spirit through sound frequencies. Tony has developed many unique techniques to assist his clients in finding peace and balance naturally as he produces vibrations that resonate with the very essence of the soul. His seven phase program in just eight weeks is beginning to raise the awareness of many people that are searching for an effective method of releasing years of emotional issues leading to a more productive and happy life. His present location is at Image Essentials at 436 MacLaren at Kent Street which is an elite spa in the Ottawa’s downtown core community. 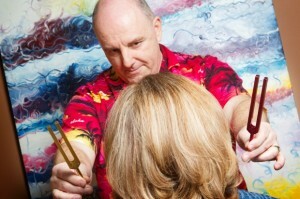 Tony was the only Tuning Fork Practitioner from SomaEnergetics in Canada in 2008 and has trained and certified over ten other healing minded people with his style. They are all independently working with these tools to produce amazing results. You must experience a tuning from Tony or one of his students; you won’t forget it! esses in his career but it also came with his share of mistakes. He says, “Knowledge and wisdom is more valuable than money”, and lives it. He also says, “Give the customer more than they expect!” He shares his experience and knowledge to ensure his student’s path will be an easier one. If Tony hasn’t seen it work in real life he is reluctant to suggest it. He is committed to offering the best working/healing techniques while having fun in the process. Being truly happy and loving what you do is an awesome feeling and you can achieve this goal in life by following your natural guidance. He knows firsthand what it takes to keep a business profitable and deliver an excellent product with loyal customers that can’t wait to do business with him again. He has won many sales and performance awards from one of the top Fortune 500 companies, namely, RJR-Inc (a division of Nabisco foods at the time). He also knows that awards don’t mean much if high performance is only done at random. It is the consistently high quality service and the way you do things that makes people ask for your service time and again. Being unique is vital but also easy. He has also appeared on 580 CFRA Ottawa Talk Radio with Experts on Call (August 4, 2007).